High quality entertainment guaranteed to awe and inspire any audience. Many unique acts to choose from to customize the show! One-Man Shows — to the Max! Packages start with shows comprised of one 15-minute or three 5-minute solo fire acts, custom-made to fit your event. Basic booking includes multiple props, fuel, equipment, insurance, travel up to 15 miles, and a trained safety assistant. Options include Acrobatic Fire Staffs Dance, Poi Spinning, Fire Juggling, Dragonstaff, Fire Eating and Fire Breathing, among others. More performers, time, and acts available on request. Pricing varies, contact us for details. Want more than a spectacular solo? Book a choreographed fire-skit for your event! Designed to fill large venues and entertain expansive audiences for lengthy and impressive shows. All shows come tailored to the music, atmosphere, and theme of your choosing. Options include Max's specialties mentioned above, plus fire dancers spinning fans, hoops, darts, and flaming whips while intertwining acrobatics and more. For group shows, Max will bring only the hottest stage-tested, insured, & professional fire performers. Please refer to the safety information below to ensure that your venue meets the necessary requirements, or contact us. 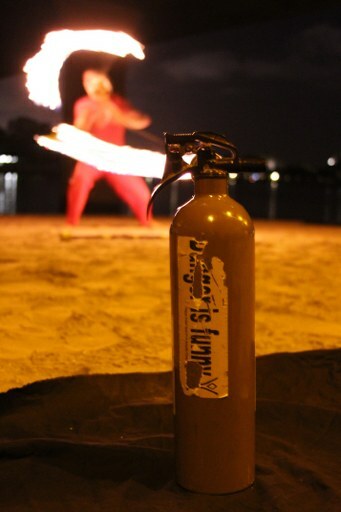 Hire fire performers to roam around your event and perform from within the crowd. Roving and ambiance artists inspire a feeling of being inside the show — and provide close up, personalized interaction with attendees. Light-powered acts are more appropriate for certain venues (read more below). Fire to the Max uses extremely high-powered LEDs which appear as bright as fire on stage — even from a distance! Choreographed group LED acts are available as well. Contact us, we’d love to talk. Ambient light-artists are a great way to add safe, impressive entertainment surrounding your grand opening or red carpet event. Roving characters with mesmerizing lights to dazzle and entertain your guests are ready, willing & able — just contact us! Shows for Daytime and Other Events! Our acts without Fire and LED accentuate the characters, dance, and acrobatic themes of the show. Audiences love impressive circus acts such as partner acro-balance or high-in-the-sky aerial performances. Solo acts to group choreography, we’re happy to adapt our show to your event or venue — Contact Us. Interested in merging teaching circus workshops with performances, where appropriate? Fire to the Max is happy to combine daytime activities — classes, lessons, or acts — with fire or LEDs shows if your event continues into the evening. Contact us to discuss. Referrals to other acts such as Magicians, Stilt Walkers, Tight Rope, Strong-Man, Rola-Bola, Belly-Dancers, Face Painting, Mermaids, Clowns, and many more available on request. Since 2009, Max and his crew have performed hundreds of shows across the world. From huge festivals to private poolside parties and TV commercial shoots, Fire to the Max is experienced and ready to engage your audience. …Coming Soon. For now, enjoy the photos on the rest of the site and check out Fire to the Max on Facebook and Instagram. Fire to the Max is committed to producing safe entertainment so you can sit back, relax and enjoy the show. Each fire performance is accompanied by at least one trained assistant with safety equipment on hand. Performers are insured through Specialty Insurance Agency for $3 million liability policy to protect the venue, attendees, and property – and more coverage is available. We adhere to all NAFAA Fire Performance Guidelines. If your venue is not suited for fire, request a Bright LED Performance or a Flow/Circus Show for an equally dazzling act.